Ask yourself this question: Have you ever worked on a real scientific experiment? Your thoughts may jump to the lab components of your undergraduate science courses and the research papers/assignments you completed in college, but should such structured, step-by-step exercises really be considered experiments? Is this what real scientists do? For the author, the answer to these questions about the true nature of science came in the form of two inspirational professional development courses where teachers become scientists. In this article, she describes her participation in the workshops and discusses how these experiences benefited her students back in the classroom as well. This editorial explores the author’s participation in a program called Science Education and Applied Research in Coastal Habitats, or SEARCH. She first participated in a Schoolyard Long Term Ecological Research (LTER) program. Her second course she spent a week working alongside real scientists researching and monitoring existing turtle nests, patrolling the beaches for turtle tracks leading to new nests, and relocating at-risk nests to sites that offer better protection. 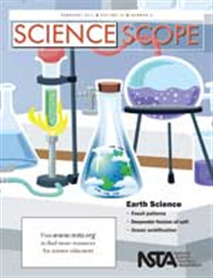 As the author points out, the educator gets a deeper and real understanding of the nature of science by participating in these activities.